The HP Envy range of high-performance and ultra-portable laptops was first introduced by Hewlett-Packard in October 2009, with the debut of the Envy 13 and the Envy 15, featuring superior sound quality with pre-installed Beats Audio software. Almost one year has passed since the HP Envy laptop series were introduced, and Hewlett-Packard already released the HP Envy 14 which incorporates features that the first models lacked, like an optical-drive, a backlit keyboard and an improved touch-pad. The design of the HP Envy 14 laptop is somewhat influenced by the design of the MacBook Pro with its aluminum body, glossy screen, backlit keyboard, round edges, smooth touch pad, and light-up body-placed logo. The starting price of the HP Envy 14 laptop is $999, but it can be also configured with better components and can reach a price of more than $1,200. 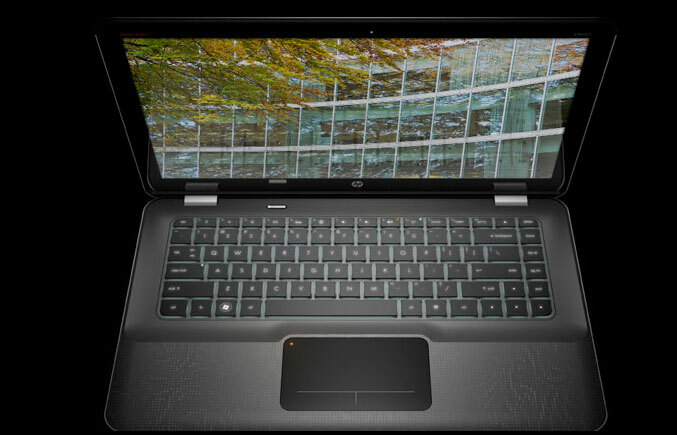 The laptop is a little thicker than the previous models, weighting at 5.2 pounds and measuring at 14 x 9.3 x 1.1 inches. The Envy 14 by Hewlett-Packard comes equipped with a fourteen and a half (14.5) inch crisp and bright LED-backlit screen with a resolution of 1366 x 768 pixels. For some extra bucks, the Envy 14 could come with a 1,600 x 900 pixels resolution display, which offers superior quality in comparison to the 1366 x 768 resolution displays. The flush glass LCD quality is also superior to the previous models of LCD screens that Hewlett-Packard used in their older laptops. The colors of the screen are just amazing in comparison to previous LCDs. Even when tilted backwards, you will still be able to see the detailed and bright colors that almost stick out of this gorgeous screen. However, the glossy design of the display will mirror any lights in the background, killing the picture you are concentrated on looking. Hewlett-Packard should’ve provided a more “matte” solution. The audio quality doesn’t differ from the visual quality. The built-in speakers on the front-edge of the body can produce loud and smooth sounds, thanks to Beats Audio, which provides high-end software and hardware based audio quality. Like previous models of the HP Envy laptop series, the keyboard of the HP Envy 14 offers excellent response and spacing between the keys. HP has even integrated a backlight on the keyboard, which can be turned on and off by using the function key and the appropriate F1-12 button. The backlight on the keyboard provides an amazing feeling when turned on in darker environments. The keys are lit up in squares, providing ease and comfort while typing. Hewlett-Packard has finally improved their “Click-Pad” Touch-Pad on this model. 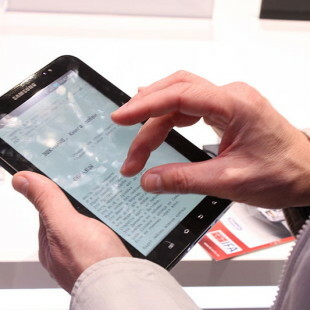 They’ve added a much larger touch-pad that makes navigating and browsing very comfortable. The larger touch-pad also features multi-touch functions like scrolling, rotating and zooming digital images. The lower part of the touch-pad space is marked with lines which represent two mouse buttons – left for the left mouse button, and right for the right mouse button. The Hewlett-Packard Envy 14 is powered by an Intel Core i5-450M processor running at 2.4Ghz (or more, depending on what you want), combined with 4GB of DDR3 Ram Memory and a 500GB Hard Drive. An ATI Mobility RADEON HD 5650 with 1GB VRAM Memory is also included, thanks to which smooth and lag-less playback of high-definition 1080p videos is possible. 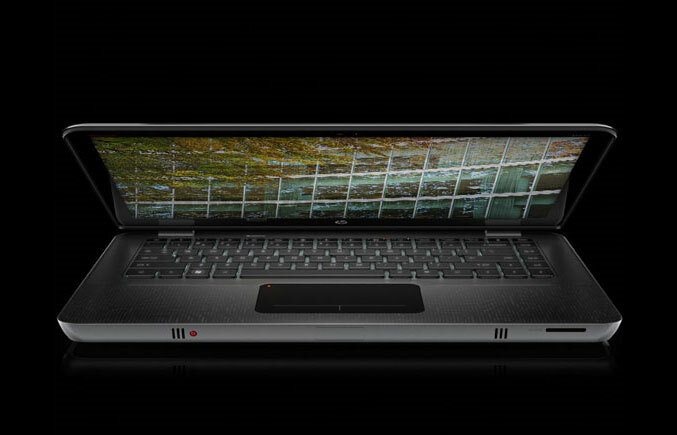 The graphics performance of the HD5650 video card also makes gaming possible on this laptop. Newer game titles were able to run on 30+ frames per second, without any glitching or lag-spikes. The processor and RAM memory also did not disappoint when attempting to run more than two powerful software applications like the Firefox Browser, Adobe Photoshop and Microsoft Office. While working with these three programs to browse the internet, edit some digital photos, and write a document, none of the processes were slowed down. 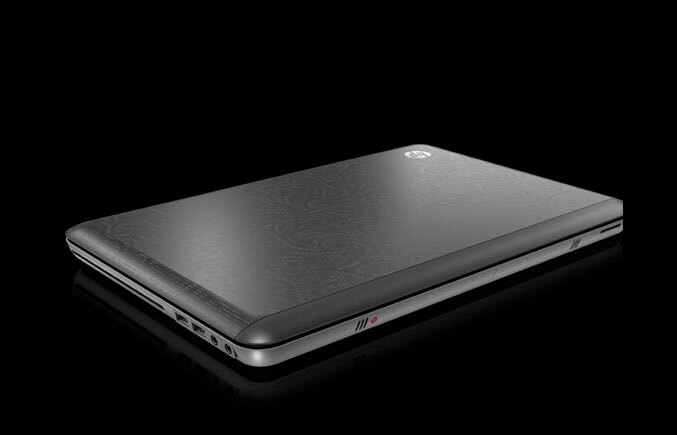 The HP Envy 14 is equipped with a 3800mAh battery with eight-cells. While doing normal actions on the laptop like browsing the web or listening to music while editing some documents, you will be able to achieve more than four hours of battery life. Video playback and gaming can significantly drain the battery for just three hours, or even less. Of course, the brightness, sound volume, and what graphics card is used, depend on the life of the battery. An extra expandable battery is also offered by Hewlett-Packard for the price of two-hundred ($200) dollars. Unlike the previous models HP Envy laptops, which had limited amount of ports and didn’t have an optical drive, the HP Envy 14 offers a much larger selection, by placing them on both sides of the device. 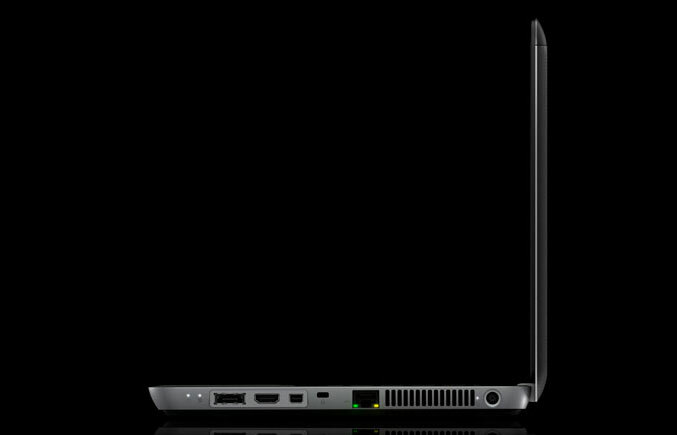 The laptop has an 8x slot-loading dual-layer DVD writer optical drive and also three USB 2.0 ports, an eSATA port, HDMI output, mini-Display outputs, an Ethernet connector, a SD and MMC card slots, and a standard headphone jack. The wireless connection capabilities of the Envy 14 are dual-band 801.11 a,b,g,n Wi-Fi and Bluetooth. A high definition web camera is also placed on the top-front of the screen, providing features like face-detection and a built-in microphone for use in video communication software applications like Skype. The Envy 14 however lacks a VGA Monitor output, but a HDMI-to-VGA adapter cable can be purchased from Hewlett-Packard for fifty bucks. The HP Envy 14 comes powered by Microsoft’s Windows 7 Home Premium operating system. The reinvented and improved laptop in comparison to the first two HP Envy devices is overall worth its price and money, with its gorgeous design, great performance, backlit keyboard, improved touchpad and amazing audio quality.